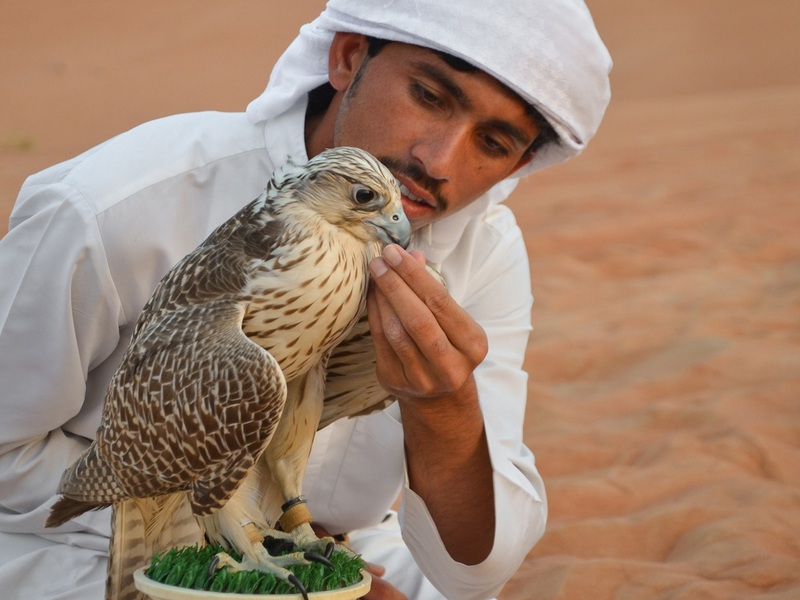 Falcons are a significant part of the traditional culture of the UAE. With exact history not known as to when the Bedouins first started using them, Falcons have played a crucial role in the history of the United Arab Emirates. They have helped Bedouins hunt animals in the extreme hot desert environment. The one thing that set the Falcons apart from other predatory animals, is that they can be trained to deliver the hunt alive. This helped the Bedouins to ensure that the meat is halal. 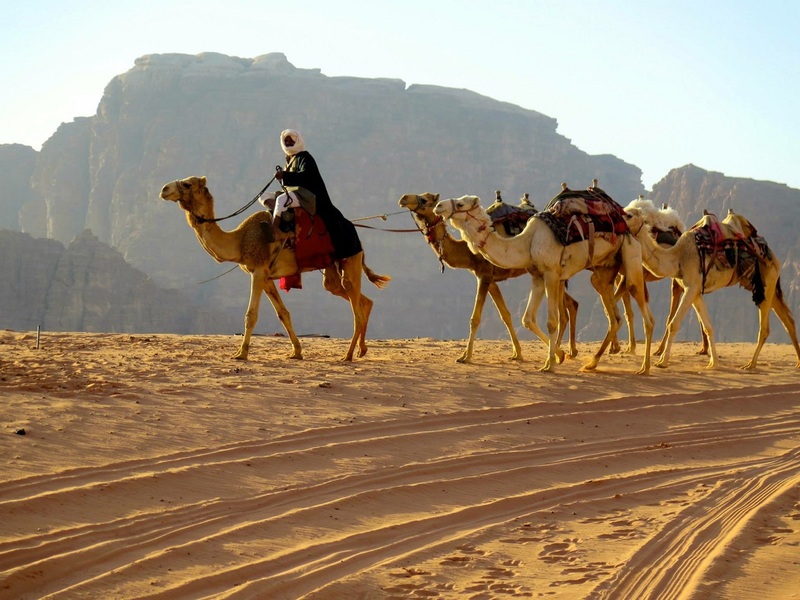 Bedouins (or Bedawi in Arabic) are the oldest inhabitants of the deserts of Arabia. They are a nomadic group of desert-dwellers or local tribes who were always on the move. Bedouins used to travel thousands of kilometers in the deserts using just the sun and stars for navigation. They were expert trackers, and it is believed that they could distinguish the footsteps of humans and animals in the sand, and also could say if the human being was a man or when and also could tell the approximate age of the person. Bedouins were the first to use falcons for hunting and other pet purposes. But, today, Falcons are a symbol of one’s status, and sometimes they sell for as high as $1 million each, making falcon trade attractive to smugglers. 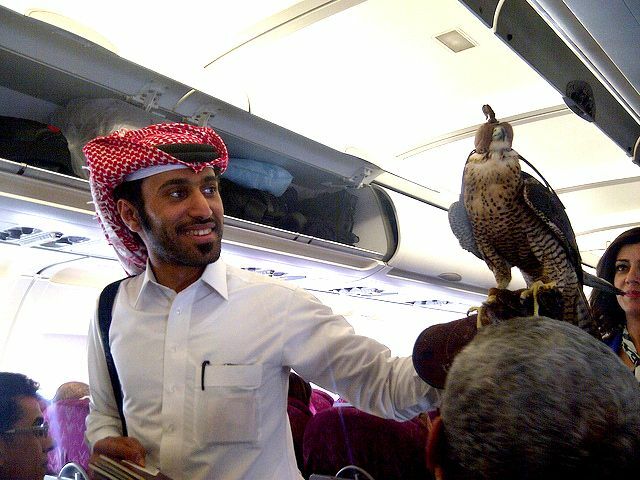 This is why the UAE Government has issues Passports for falcons too. 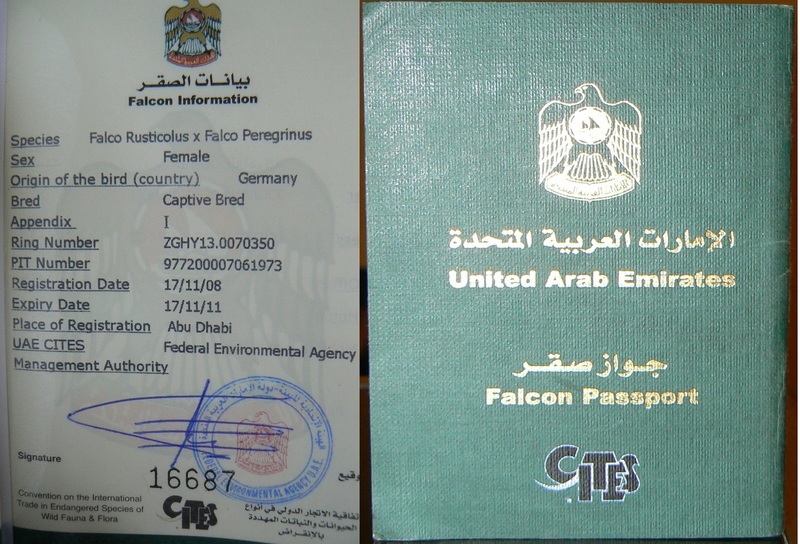 The Ministry of Environment and Water can issue a falcon passport. This is usually valid for three years and costs around 130 USD. The falcon with a Passport gets an ID number which is tied to one of the legs of the falcon. Falcons when traveling abroad go through the exact border control procedures as other travelers. The officials verify the ID number on passport and ensure the animal has got the same ID on his leg. Falcons get their Passport stamped when transferred abroad. They are the only animals in the UAE that are legally allowed to travel inside planes. However, Falcons can only travel in business and first class. So, next time if you see a falcon seated beside you, do not be surprised. Lufthansa Airlines has a custom-designed “falcon tray” for the animals on-board.